About Us – Absolute Compassion Hospice & Palliative Care is a privately owned and operated Hospice Provider, serving the communities of Landpark, Greenhaven, South Sacramento, Elk Grove and nearby Sacramento Areas. Our services extend throughout Sacramento, Yolo & San Joaquin Counties. “We recognize the value of every individual, guided by our commitment in excellence in service. 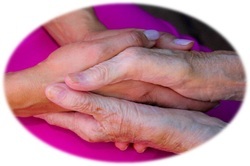 We are competent, caring people offering extraordinary community hospice and palliative care. There is nothing more rewarding and gratifying than knowing you’ve touched lives. 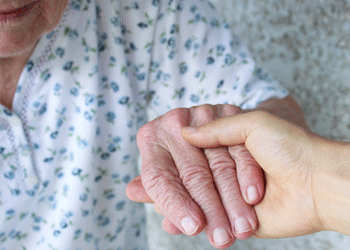 There are many hospice providers that provide care. But Absolute Compassion provides caring. It’s our passion for compassion that sets us apart and gives our patients and families peace of mind in knowing they will be treated with dignity, respect and quality care 24 hours a day. Every moment in life is meant to be cherished…especially when you know the end could be near. Absolute Compassion Hospice Care allows patients and families to spend their final time together in comfort and dignity while receiving services focused on sustaining quality of life. Because everyone’s situation is different, Absolute Compassion Hospice Care creates a personalized care plan, tailored to a loved one’s specific needs.